This lovely wreath is made using Painted Harvest but instead of using floral colours I used green - Lemon Lime Twist and Always Artichoke. 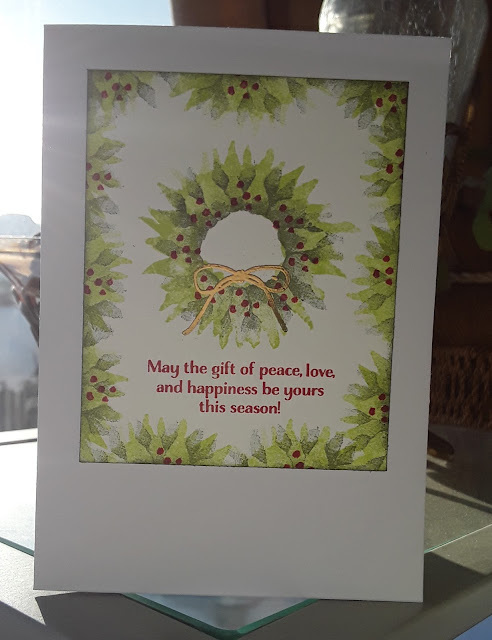 There is a dotty image which is perfect for the berries and in one of my other sets - Christmas Happiness - there is a lovely bow that looks very festive embossed in gold. 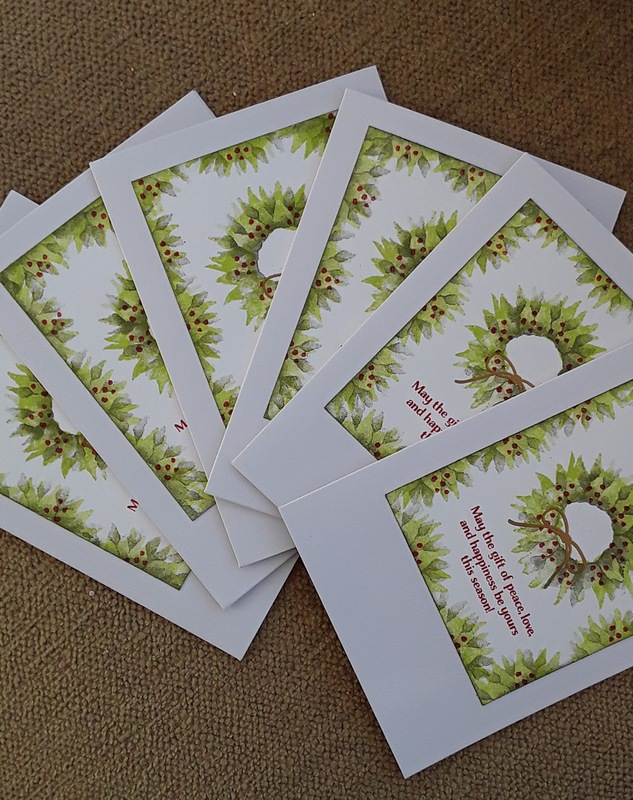 As I said I made six of these so my pile of cards is starting to mount up at last!